What Can You Do to Improve Your Odds Against Cancer? I sometimes joke with my patients that a new diagnosis of cancer rarely provides them enough time to get an MD or PhD. Yet it is that level of preparation that may be required to answer the myriad questions that lie ahead. Although it’s a joke, it is only partly in jest. Unlike buying a house or a car for which one’s life experiences can prepare you, medicine is opaque, complicated and ever changing. At the bleeding edge of medical complexity sits medical oncology and its dizzying array of genomics, transcriptomics, proteomics, epigenomics and metabolomics. Not only is it difficult for patients to keep up with all the changes, it is increasingly beyond the ken of their doctors who have spent entire careers training in the specialty, many of whom may have an MD and a PhD. So how can patients improve their odds when the obstacles seem so daunting? 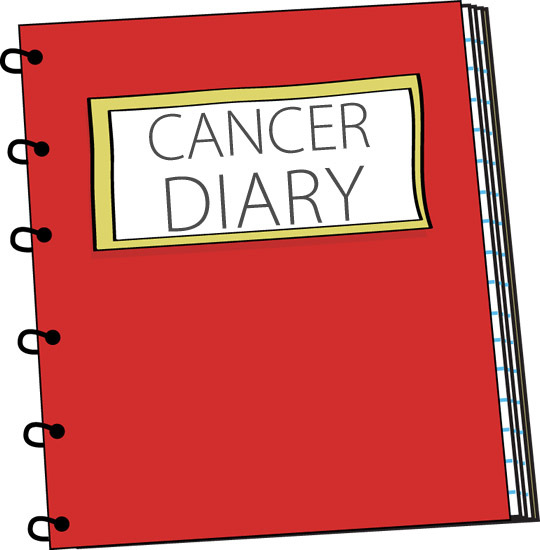 My first recommendation is that you develop a personal diary or record book of the procedures, staging studies, pathologic diagnosis, tumor markers, and physician recommendations. This can be accomplished by requesting that your doctors provide either electronic or physical copies of CT scans, pathology reports, blood tests and other clinically relevant information. While there has been some controversy surrounding their overuse, I am a believer in the simple blood tests used as barometers of your cancer with names like CEA, CA19.9, CA125, CA27.29, and CA 15.3. Although they are not perfect, they are easy to obtain, relatively inexpensive and can be repeated regularly to assess progress with therapy. The second thing that I recommend is that you gain a working knowledge of your diagnosis. While there are no perfect sources of information, the internet can provide useful basic information as a starting point. 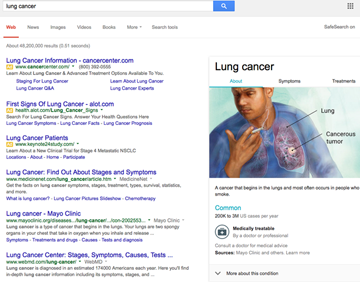 Begin by obtaining from your doctor the most accurate definition of the cancer. 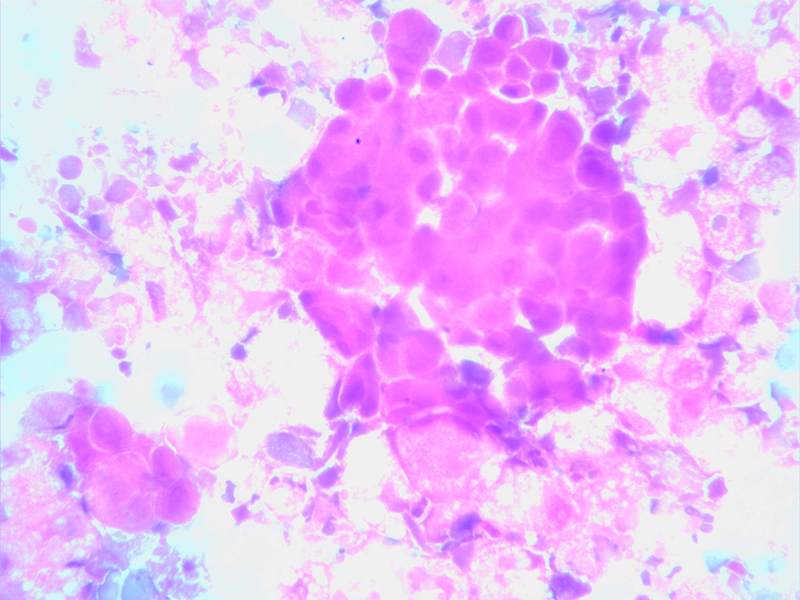 If it is breast cancer, is it infiltrating ductal or lobular? Are you ER positive? Is your tumor HER-2 positive? If it is stomach cancer, is it intestinal type or diffuse, etc? This will facilitate your searches, as well as your future conversations with consultants. Once you know what you’ve got, the next thing you will need to know is where it is. That is what is known as your stage. The older classification used Roman Numerals I-IV with local disease (early) as stage I and metastatic (disseminated) as stage IV. The more modern system is known as TNM, where T stands for tumor size (1-4), N stands for lymph involvement(1-3), and M stands for metastatic involvement (0 or 1). Most contemporary pathology reports include TNM staging. With the diagnosis and stage established, you now know what you have and where it is. This is where it gets interesting. Now, what do you do about it? It is at this point that therapeutic choices must be made. Most physicians will rely upon standard established guidelines. Among the most widely used guidelines are those published by the National Comprehensive Cancer Network known as NCCN. While these guidelines can be useful, they can also be stultifying, limiting patients to what might be considered the lowest common denominator of care. While they may be better than haphazard treatment selection, they may very much miss the mark for your unique needs. Here the process degenerates into a plethora of confusing choices. Should you have genomic profiling? If so, should it be based on a tissue biopsy, circulating cell free tumor analysis, or even the newer urine tests that measure the presence or absence of abnormal genes? All of these technologies have merit and over the coming years the best ones will shake out. Despite these tests being widely touted (and profitable for the purveyors), none of these test have been put to formal trials that establish their capacity to influence survival. This is interesting because many of these tests have obtained insurance and Medicare coverage without even remotely rising to this standard. 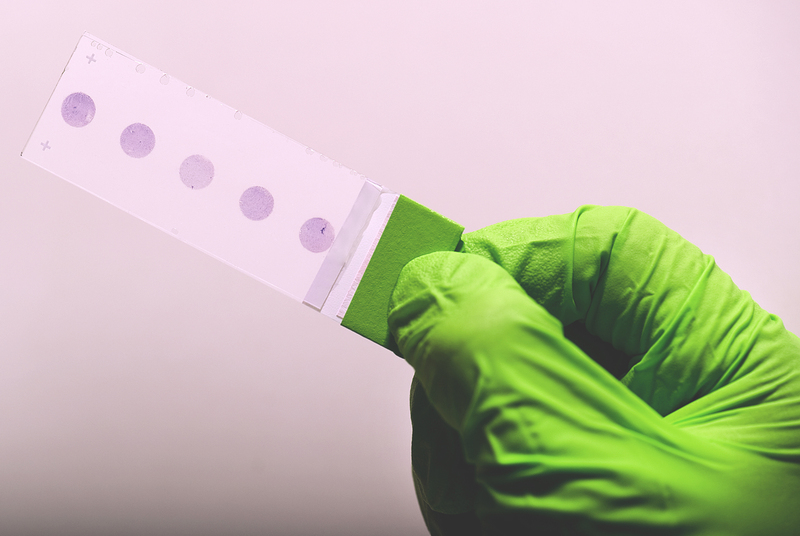 Nonetheless, these tests can be used for specific diseases like lung and leukemia where actionable targets are known to exist. Beyond that, caveat emptor (buyer beware). One of the problems with genomic profiles is that they do very good job of telling you what the problem may be, but a very bad job at telling you the solution. It is a rare genomic mutation that comes with a drug to treat it. Most of the findings wind up asking more questions rather than providing more answers. With the diagnosis established, the stage known and in certain circumstances molecular profiles complete, it is time for you to choose treatments and the centers that will provide them. Many seek the care of academic centers. 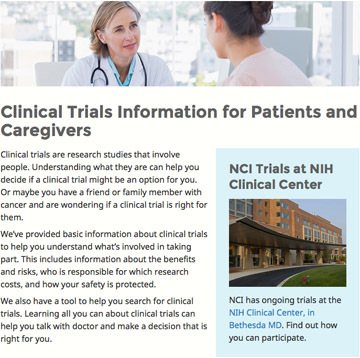 These centers may offer clinical trials as a first line therapy for those who meet criteria. It should be remembered that clinical trials are conducted in three principal formats. Phase I trials examine brand new drugs. These trials determine the safety of the drugs at different dose schedules. Phase II trials take the established safe doses and develop experience in each type of disease, e.g. lung versus colon versus breast. Phase III trials then compare the new drugs with existing treatments to see if there is any real improvement. It is critical to recognize the functions of these different types of trials. Phase I studies classically have no therapeutic intent (your benefit is secondary to their measurement of your ability to tolerate the drug). Phase II trials seek evidence of clinical activity by disease, but your specific disease may not be right for that drug. Finally, Phase III allows a comparison of standard treatment to the new one. Many of these drugs do not make the grade and fall off the development wagon. In addition, you must be willing to be randomly assigned. It is here that my approach diverges from those outlined. I have long maintained that each patient is unique and that their cancers must be treated individually. Recognizing that no genomic, proteomic or transcriptomic platform can answer the very complex questions of therapeutic response, we at Rational Therapeutics have developed functional analyses through the use of the EVA-PCA assay, which studies each patient’s tumor by exposing it to the drugs of interest. The most active, least toxic combinations are then recommended. In a report at the American Society of Clinical Oncology meeting of 2013, we showed a 2.02 higher response rate (P < 0.001) and a 1.44 improvement in one year survival (P < 0.02) for patients who received assay-guided therapy. This established the predicative validity of the functional approach. It is important for patients to realize that cancer is an unbalanced system, not just an abnormal cell. Cancer as a disease goes beyond the cell or even the tumor to affect the body itself. Alterations in immunity, metabolism and physiology contribute to the good or bad outcomes of every patient. Patients should seek to normalize their lifestyle, improve their diets, maintain an active exercise program, reduce their weight to lean body weight, and may in some circumstances consider nutritional supplements and/or appropriately selected natural products that may augment their wellbeing. The human body is a complicated machine and each part resonates with every other part. A good diet, a good night’s sleep and avoidance of an unhealthy lifestyle, as much as they may sound like your mother’s advice, is indeed very good advice. Every cancer patient has the right to get better. As a patient, you should take charge of your cancer and make smart decisions. Afterall, no one is more interested in saving your life than you. I recently had the opportunity to meet two charming young patients: One, a 32-year-old female with an extremely rare malignancy that arose in her kidney and the other a 33-year-old gentleman with widely metastatic sarcoma. Both patients had obtained expert opinions from renowned cancer specialists and both had undergone aggressive multi-modality therapies including chemotherapy, radiation and surgery. Although they suffered significant toxicities, both of their diseases had progressed unabated. Each arrived at my laboratory seeking assistance for the selection of effective treatment. With the profusion of genomic analyses available today at virtually every medical center, it came as no surprise that both patients had undergone genetic profiling. What struck me were the results. The young woman had “no measurable genetic aberrancies” from a panoply of 370 cancer-causing exomes, while the young man’s tumor revealed no somatic mutations and only two germ-line SNV’s (single nucleotide variants) from a 50 gene NextGen sequence, neither of which had any clinical or therapeutic significance. What are we to make of these findings? By conventional wisdom, cancer is a genetic disease. Yet, neither of these patients carried detectable “driver” mutations. Are we to conclude that the tumors that invaded the cervical vertebra of the young woman, requiring an emergency spinal fusion, or the large mass in the lung of the young man are not “cancers”? It would seem that if we apply contemporary dogma, these patients do not have a cancer at all. But nothing could be further from the truth. Cancer as a disease is not a genomic phenomenon. It is a phenotypic one. As such, it is extremely likely that these patients’ tumors are successfully exploiting normal genes in abnormal ways. The small interfering RNAs or methylations or acetylation or non-coding DNA’s that conspired to create these monstrous problems are too deeply encrypted to be easily deciphered by our DNA methodologies. These changes are effectively gumming up the works of the cancer cell’s biology without leaving a fingerprint. I have long recognized that cellular studies like the EVA-PCD platform provide the answers, through functional profiling, that genetic analyses can only hope to detect. The assay did identify drugs active in these patients’ tumor, which will offer meaningful benefit, despite the utter lack of genetic targets. Once again, we are educated by cellular biology in the absence of genomic insights. This leaves us with a question however – is cancer a genetic disease? Althoug h these phrases may roll of the tongue of the average molecular biologists (mostly PhDs), they are foreign and opaque to the average oncologist (mostly MDs). To address this communication shortfall laboratory service providers provide written addenda (some quite verbose) to clarify and illuminate the material. 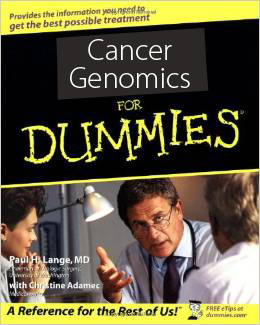 Some institutions have taken to convening “molecular tumor boards” where physicians most adept at genomics serve as “translators.” Increasingly, organizations like ASCO offer symposia on modern gene science to the rank and file, a sort of Cancer Genomics for Dummies. If we continue down this path, oncologists may soon know more but understand less than any other medical sub-specialists. However well intended these educational efforts may be, none of them are prepared to address the more fundamental question: How well do genomic profiles actually predict response? This broader issue lays bare our tendency to confuse data with results and big data with big results. To wit, we must remember that our DNA, originally provided to each of us in the form of a single cell (the fertilized ovum) carries all of the genetic information that makes us, us. From the hair follicles on our heads to the acid secreting cells in our stomach, every cell in our body carries exactly the same genetic data neatly scripted onto our nuclear hard-drives. What makes this all work, however, isn’t the DNA on the hard drive, but instead the software that judiciously extracts exactly what it needs, exactly when it needs it. It’s this next level of complexity that makes us who we are. While it is true that you can’t grow hair or secrete stomach acid without the requisite DNA, simply having that DNA does not mean you will grow hair or make acid. Our growing reliance upon informatics has created a “forest for the trees” scenario, focusing our gaze upon nearby details at the expense of larger trends and insights. What is desperately needed is a better approximation of the next level of complexity. In biology that moves us from the genotype (informatics) to the phenotype (function). To achieve this, our group now regularly combines genomic, transcriptomic or proteomic information with functional analyses. 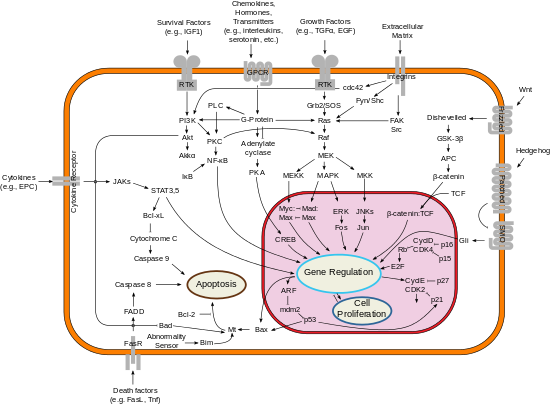 This enables us to interrogate whether the presence or absence of a gene, transcript or protein will actually confer that behavior or response at the system level. I firmly believe that the future of cancer therapeutics will combine genomic, transcriptomic and/or proteomic analyses with functional (phenotypic) analyses. Recent experiences come to mind. A charming patient in her 50s underwent a genomic analysis that identified a PI3K mutation. She sought an opinion. We conducted an EVA-PCD assay on biopsied tissue that confirmed sensitivity to the drugs that target PI3K. Armed with this information, we administered Everolimus at a fraction of the normal dose. The response was prompt and dramatic with resolution of liver function abnormalities, normalization of her performance status and a quick return to normal activities. 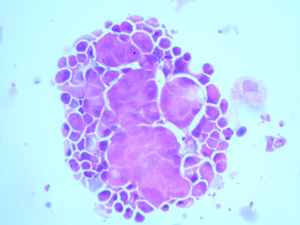 A related case occurred in a young man with metastatic colorectal cancer. He had received conventional chemotherapies but at approximately two years out, his disease again began to progress. A biopsy revealed that despite prior exposure to Cetuximab (the antibody against EGFR) there was persistent activity for the small molecule inhibitor, Erlotinib. Consistent with prior work that we had reported years earlier, we combined Cetuximab with Erlotinib, and the patient responded immediately. Each of these patients reflects the intelligent application of available technologies. Rather than treat individuals based on the presence of a target, we can now treat based on the presence of a response. The identification of targets and confirmation of response has the potential to achieve ever higher levels of clinical benefit. It may ultimately be possible to find effective treatments for every patient if we employ multi-dimensional analyses that incorporate the results of both genomic and phenotypic platforms. In the mid 1980s, it became apparent to me that cancer did not result from uncontrolled cell proliferation, but instead from the lack of cell death. Yet, cancer research labored for almost a century under the erroneous belief that cancer represented dysregulation of cell proliferation. Today, we confront another falsehood: the complexities and redundancies of human tumor biology can be easily characterized based on genomic analyses. The process of carcinogenesis reflects the accumulation of cellular changes that provide a selective survival advantage to transformed cells. However, the intricate circuitry that provide these survival advantages, reflect harmonic osolations between DNA, RNA and protein. Put simply, Genotype does not equal Phenotype. It is the phenotype that determines biological behavior and clinical response in cancer. Thus, it is overly simplistic to imagine that a DNA profile by itself can provide more than a fraction of the information required to make individual patient treatment decisions. When therapies are based on genomic analysis, only a portion of the patient’s profile is taken into consideration. These analyses disregard the environmental, epigenetic and proteomic factors that make each of us individuals. Though useful prognostically and applicable in select circumstances where a unique genetic perturbation leads to a clinical response (c-ABL and Imatinib response in CML), genomic analyses provide only a veneer of information. The Rational Therapeutics Ex Vivo Analysis – Programmed Cell Death™ (EVA-PCD) assay focuses upon the complexity of human tumors by measuring cell death, the end result of all cellular mechanisms of response and resistance acting in concert. By incorporating cell-cell, vascular, stromal and inflammatory elements into the tumor response assessment, the EVA-PCD platform provides a robust surrogate for human tumor response. While much of modern cancer research pursues the question of “Why” cancer arises, the clinical oncologist must confront the more practical question of “How” the best outcome can be achieved. Assay-directed therapy is truly personalized cancer care providing treatments unique to the individual. The panoply of genomic tests that have become available for the selection of chemotherapy drugs and targeted agents continues to grow. Laboratories across the United States are using gene platforms to assess what they believe to be driver mutations and then identify potential treatments. Among the earliest entrants into the field and one of the largest groups, offers a service that examines patient’s tumors for both traditional chemotherapy and targeted agents. This lab service was aggressively marketed under the claim that it was “evidence-based.” A closer examination of the “evidence” however, revealed tangential references and cell-line data but little if any prospective clinical outcomes and positive and negative predictive accuracies. I have observed this group over the last several years and have been underwhelmed by the predictive validity of their methodologies. Dazzled by the science however, clinical oncologists began sending samples in droves, incurring high costs for these laboratory services of questionable utility. In an earlier blog, I had described some of the problems associated with these broad brush genomic analyses. Among the greatest shortcomings are Type 1 errors. These are the identification of the signals (or analytes) that may not predict a given outcome. They occur as signal-to-noise ratios become increasingly unfavorable when large unsupervised data sets are distilled down to recommendations, without anyone taking the time to prospectively correlate those predictions with patient outcomes. Few of these companies have actually conducted trials to prove their predictive values. This did not prevent these laboratories from offering their “evidence-based” results. In April of 2013, the federal government indicted the largest purveyor of these techniques. While the court case goes forward, it is not surprising that aggressively marketed, yet clinically unsubstantiated methodologies ran afoul of legal standards. A friend and former professor at Harvard Business School once told me that there are two reasons why start-ups fail. The first are those companies that “can do it, but can’t sell it.” The other types are companies that “can sell it, but can’t do it.” It seems that in the field of cancer molecular biology, companies that can sell it, but can’t do it, are on the march. A study published in the October 20 Journal of Clinical Oncology (Use of early tumor shrinkage to predict long-term outcome in metastatic colorectal cancer treated with Cetuximab, Piessevaux H. et al, 31:3764-3775,2013) described “early tumor shrinkage” as a predictor of long-term survival in patients with metastatic colorectal cancer. These Belgian and German investigators re-analyzed two large clinical trials in colon cancer, CRYSTAL and OPUS, to evaluate the impact of early tumor shrinkage at eight weeks of therapy. Both studies were in patients with wild type (non-mutated) KRAS colon cancer who received chemotherapy with or without the monoclonal antibody Cetuximab. They used a cutoff of 20 percent tumor shrinkage at eight weeks to separate “early responders” from “non-responders.” Early responders were found to have a significantly better survival. The accompanying editorial by Jeffrey Oxnard and Lawrence Schwartz (Response phenotype as a predictive biomarker to guide treatment with targeted therapies, J Clin Oncol 31:3739-3741, 2013) examined the implications of this study. The measurement of tumor response has been a lynchpin of cancer therapeutics for decades. This was later refined under what is known as RECIST (Response Evaluation Criteria In Solid Tumors) criteria. Despite this, there remained controversy regarding the impact of early response on long term survival. The current Piessevaux trial however, is only the most recent addition to a long history of studies that established the correlation between tumor shrinkage and survival. Earlier studies in colorectal, kidney, esophagus and lung cancers have all shown that early response correlates with superior outcomes. What is gratifying in the accompanying editorial is the discussion of the “response phenotype” as a predictor of survival. Phenotype, defined as “the set of observable characteristics of an individual resulting from the interaction of its genotype with the environment” reflects the totality of human biology not just its informatics (genotype). This renewed appreciation of tumor phenotype in oncology is important for it re-focuses on tumor biology over tumor genetics. The ex-vivo analysis of programmed cell death (EVA-PCD) that we utilize, is itself a phenotypic platform that measures actual cellular behavior, not gene profiles, to gauge drug sensitivity. We have previously shown that the measurement of chemotherapy effect on human tumor tissue predicts response, time to progression and survival. The current study used clinical response (early tumor shrinkage) to successfully measure the same. This analysis of early response by Piessevaux is bringing our most sophisticated investigators back to what they should have known all along. 1. Responding patients do better than non-responding patients. 2. Early measurement of response is predictive of long term outcome. 3. These measurements can and should be done in the laboratory. Taken together, the current study supports early tumor shrinkage and by inference, ex vivo analyses, as important predictors of patient response and survival. Angelina Jolie’s willingness to bravely publish her saga, as she confronts the risk of a nefarious form of cancer, has focused international attention upon the phenomenon of genetic predisposition to cancer. The term BRCA, coined by investigators from Berkeley and Europe, described an inherited predisposition to cancer. Years of research came to fruition in the early 90s when geneticist Mary-Claire King and her collaborators recognized that patients who lacked DNA repair capacity tended to accumulate chromosomal damage that ultimately lead to cancer. The BRCA genes (1 and 2) are part of the genomic fidelity system. Just like it sounds, these DNA repair enzymes maintain the “fidelity” or trueness of your makeup. Everyday our bodies are exposed to mutations. Radon in the atmosphere, carcinogens, even our dietary intake regularly injures our chromosomes. In response, we marshal defenses that recognize, remove and repair the damaged elements before they can be transmitted to the next generation of cells. When these BRCA genes are absent or silenced, the normal wear and tear goes unrepaired. Over a lifetime, this leads to a triggering mutation and cancer. BRCA genes are like the Zamboni machines that clean up the ice in-between periods in a hockey game. Imagine what a Stanley cup game would be like if the ice was so dug up that the players took a tumble every time they skated toward the goal. Ms. Jolie’s chromosomes are like the ice, but her Zamboni machine isn’t working. So why would someone like Angelina Jolie get cancer? The reason why patients with the BRCA1 or 2 mutation get breast and ovarian cancer over other types of cancer remains somewhat of a mystery. But the reason that they get cancer at all is quiet clear. They accumulate damage they can’t repair. That being the case, what happens when we introduce DNA damage intentionally? The answer is: patients with BRCA1 and BRCA2 respond to chemotherapy often quite dramatically. It is the very fact that cells cannot repair damage, which makes them hypersensitive to DNA damaging drugs like alkylators (cytoxan), platins (cisplatin and carboplatin) and ionizing radiation (x-rays). Indeed, tumors that carry DNA repair deficiencies are among the easiest to treat with conventional cytotoxics. Thus, the very reason that these patients develop cancers is the Achilles heel that makes their tumors drug sensitive. Interestingly, BRCA1 and BRCA2 positive patients don’t only get breast and ovarian cancer; they can also develop melanoma, lymphoma and other tumors. Finally, it has opened up a field of investigation that connects cancer with other long-recognized disease states like the pediatric condition Fanconi’s anemia. It only reminds us again that cancer is but one part of a continuum of human diseases. An article by Gina Kolata on the front page of the July 8, Sunday New York Times, “In Leukemia Treatment, Glimpses of the Future,” tells the heartwarming story of a young physician afflicted with acute lymphoblastic leukemia. Diagnosed in medical school, the patient initially achieved a complete remission, only to suffer a recurrence that led him to undergo a bone marrow transplant. When the disease recurred a second time years later, his options were more limited. As a researcher at Washington University himself, this young physician had access to the most sophisticated genomic analyses in the world. His colleagues and a team of investigators put all 26 of the University’s gene sequencing machines to work around the clock to complete a whole genome sequence, in search of a driver mutation. The results identified FLT3. 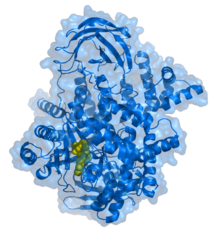 This mutation had previously been described in acute leukemia and is known to be a target for several available small molecule tyrosine kinase inhibitors. After arranging to procure sunitinib (Sutent, Pfizer Pharmaceuticals), the patient began treatment and had a prompt and complete remission, one that he continues to enjoy to this day. The story is one of triumph over adversity and exemplifies genomic analysis in the identification of targets for therapy. What it also represents is a labor-intensive, costly, and largely unavailable approach to cancer management. While good outcomes in leukemia have been the subject of many reports, imatinib for CML among them, this does not obtain for most of the common, solid tumors that lack targets for these new silver bullets. Indeed, the article itself describes unsuccessful efforts on the part of Steve Jobs and Christopher Hitchens, to probe their own genomes for effective treatments. More to the point, few patients have access to 26 gene-sequencing machines capable of identifying genomic targets. A professor of bioethics from the University of Washington, Wiley Burke, raised additional ethical questions surrounding the availability of these approaches only to the most connected and wealthiest of individuals. While brute force sequencing of human genomes are becoming more popular, the approach lacks scientific elegance. Pattern recognition yielding clues, almost by accident, relegates scientists to the role of spectator and removes them from hypothesis-driven investigation that characterized centuries of successful research. The drug sunitinib is known for its inhibitory effect upon VEGF 1, 2 and 3, PDGFr, c-kit and FLT3. Recognizing the attributes of this drug and being well aware of C-KIT and FLT3’s role in leukemias, we regularly add sunitinib into our leukemia tissue cultures to test for cytotoxic effects in malignantly transformed cells. The insights gained enable us to simply and quickly gauge the likelihood of efficacy in patients for drugs like sunitinib. Once again we find that expensive, difficult tests seem preferable to inexpensive, simple ones. While the technocrats at the helm of oncology research promise to drive the price of these tests down to a level of affordability, everyday we wait 1,581 Americans die of cancer. Perhaps, while we await perfect tests that might work tomorrow, we should use good tests that work today. During the 1960s, 70s and into the 90s, a field of investigation arose that examined buyer’s practices when it came to the consumption of goods and services. Algorithms were developed to interrogate consumer choice. One such treatise was reported in 1994 (Carson, RT et al, Experimental Analysis of Choice, Marketing Letters 1994). What these researchers explored were the motivations and forces that drove consumption. When choices are offered, decisions are driven by such factors as complexity and utility. Complexity demands personal expertise or failing that, input from experts, while utility places a value on the good or service. A recent report from a small biotechnology company called Foundation Medicine has brought this field of endeavor to mind. It seems that this group will be offering DNA sequencing to select chemotherapy drugs. This service, currently priced at $5,800, will focus upon a small cassette of genes that they described as “key” in tumor growth. Based on their technology they have already raised $33.5 million from the likes of Third Rock, Google and Kleiner Perkins Caulfield & Byers, venture capital sources. The CEO of Foundation substantiates the approach by pointing out that fully 150 people have already used their services. One hundred and fifty! It seems from this report that our colleagues in the field of molecular profiling have studied the dictates of “Experimental Analysis of Choice” to a “T.” What we have is the perfect storm of medical marketing. First, the technology is so complex as to be beyond the ken of both patients and physicians alike. Thus, expertise is required and that expertise is provided by those engaged in the field. Second, the utility of drug selection is beyond reproach. Who in their right mind wouldn’t want to receive a drug with a higher likelihood of a response when we consider the toxicities and costs, as well as the consequences of the wrong treatment? Dazzled by the prospect of curative outcomes, patients will, no doubt, be lining up around the block. But, let’s deconstruct what this report is actually telling us. First, a scientifically interesting technology has been brought to the market. Second, it exists to meet an unmet need. So far, so good. What is lacking, however, is evidence. Not necessarily evidence in the rarefied Cochrane sense of idealized survival curves, nor even Level II evidence, but any evidence at all. Like whirling dervishes, patients and their physicians are drawn into a trancelike state, when terms like NextGen sequencing, SNP analysis and splice variants are bandied about. Despite the enthusiastic reception by investors, I fear a lack of competent due diligence. To wit, a recent article in Biotechniques, “Will the Real Cancer Cell Please Stand Up,” comes to mind. It seems that cancer cells are not individual entities but networks. A harmonic oscillation develops between tumor, stroma, vasculature and cytokines. In this mix, the cancer cell is but one piece of the puzzle. Indeed, according to recent work from Baylor, some of the tumor promotion signals in the form of small interfering RNAs, may arise not from the cancer cells, but instead from the surrounding stroma. How then, will even the most punctiliously perfect genomic analyses of a cancer cells play out in the real world of human tumor biology and clinical response prediction? Not very well I fear. But then again such a discussion would require data on the predictive validity of the method, something that appears to be sorely lacking. Will today’s gene profile companies prove to be the biotech Facebook IPOs of tomorrow?